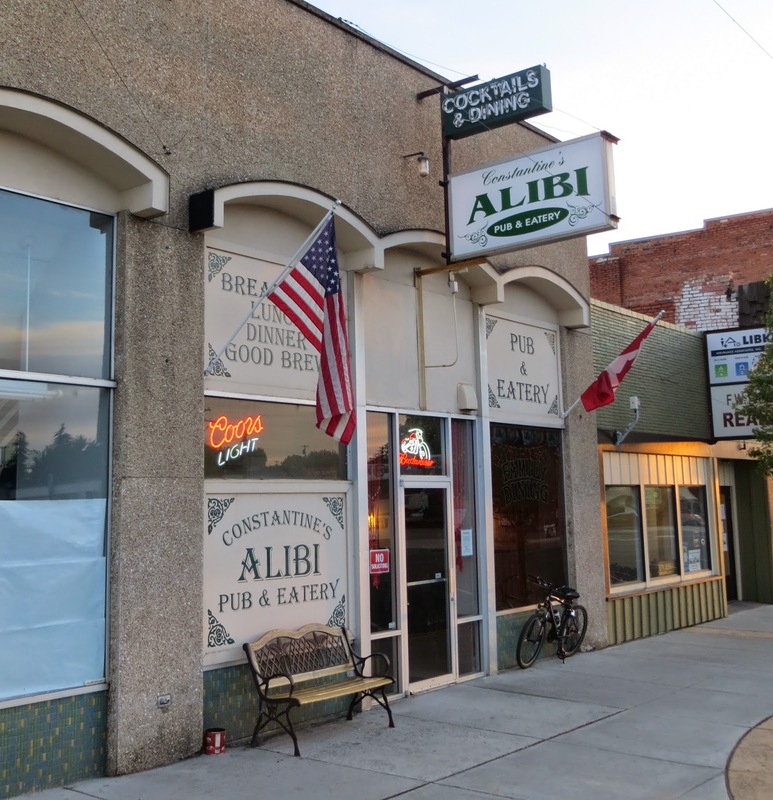 Constantine's Alibi Pub and Eatery (AKA the Alibi Tavern) is now the only bar in town. You can see that times have been tough as you walk down Main Street, past the long-shuttered Boyd's Place, with the American flag logo in the old 1902 VFW Hall, and past the graying teddy bear face on the sign for Sarah's Restaurant and Lounge. The town of Wilbur sites northeast of Goose Creek, with both the town and creek named after "Wild Goose Bill" Condon, whose ranch basically founded the town. 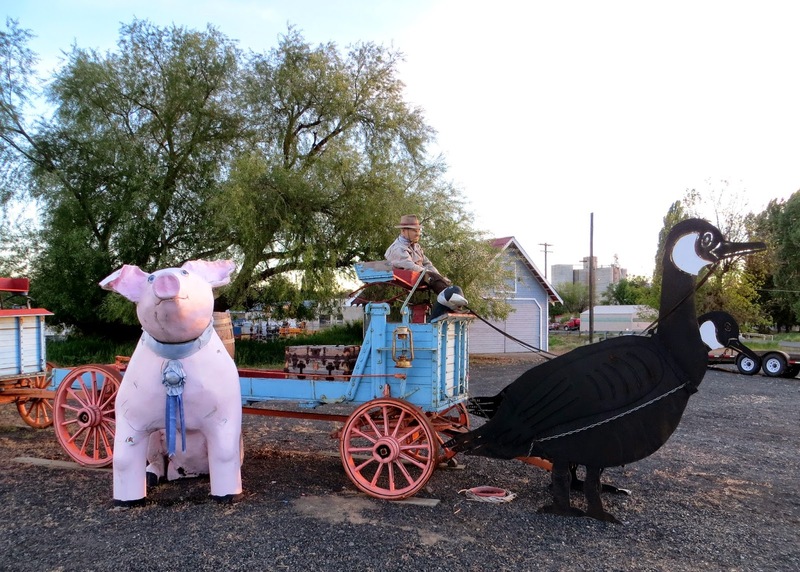 The story goes that town officials were planning to name the place "Goose Town," when Nannie Robertson, the wife of the town blacksmith, declared she would refuse to live in a town with such a name, and it was eventually decided to use Wild Goose Bill's middle name. At the Alibi we chatted with bartender Alan, who in addition to being a pretty cool guy is the son of the woman who runs the Willows Motel up the road where we were staying. 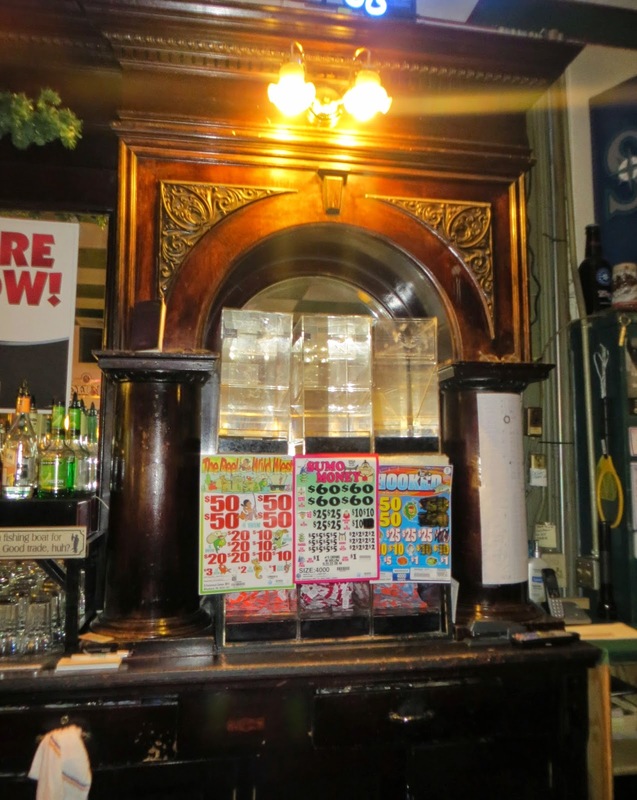 Alan said there's been a bar in the location since the 1940s, and that the physical back bar dates back to the 1880s. 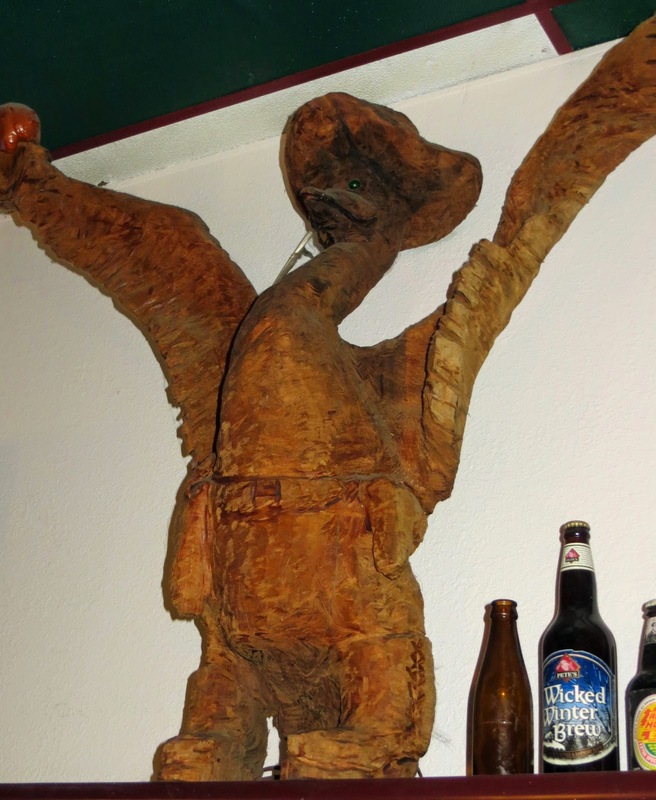 We were informed by locals that the Alibi is a good place to eat, but on this stop we were only stopping in for a drink before heading back to the motel and then back on the road the next morning. But if we're back this way we will be stopping in. August 2018: going strong with good food.